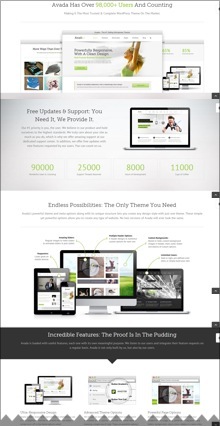 This is a list of top selling ThemeForest WordPress Themes 2013. All of them are responsive themes and all of them use the increasingly popular long scrolling page parallax design. Plenty of other great features included. Do click through to take a look at these Themes, the screenshots shown don’t do them justice. Difficult to choose between them as most of these themes have the same features such as page builders, video backgrounds, WooCommerce support, shortcodes, different designs, language support, helpdesk support etc. 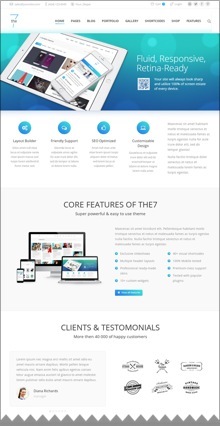 The 7 WordPress Parallax Theme, customise everything, includes a visual layout builder, 16 custom widgets, 50+ shortcodes, 4 headers layouts, 16 skins. Jarvis WordPress Parallax Theme, 14 unique homepage layouts, infinite scroll, video backgrounds, 6 navigation styles, 240 icon fonts, MailChimp support. 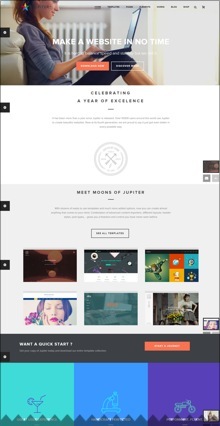 Jupiter WordPress Parallax Theme, one theme, dozens of templates, background customiser, amazing edge slideshow, drag & drop visual composer and more. 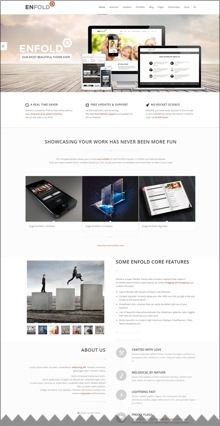 Enfold WordPress Parallax Theme, drag & drop editor, retina ready, search optimised, template builder, integrated form builder, Ajax instanst search and more. 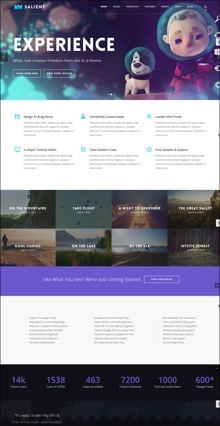 Salient WordPress Parallax Theme, we have worked with this one and can recommend. Fully customisable, page builder, multiple designs and layouts. Avada WordPress Parallax Theme, unlimited designs, advanced theme options, page builder, shortcode generator, mega menus, fusion slider and more. Please note, we aren’t actually sure that these were the top selling Themes! List was provided by Themeforest. Any comments and ideas very welcome!